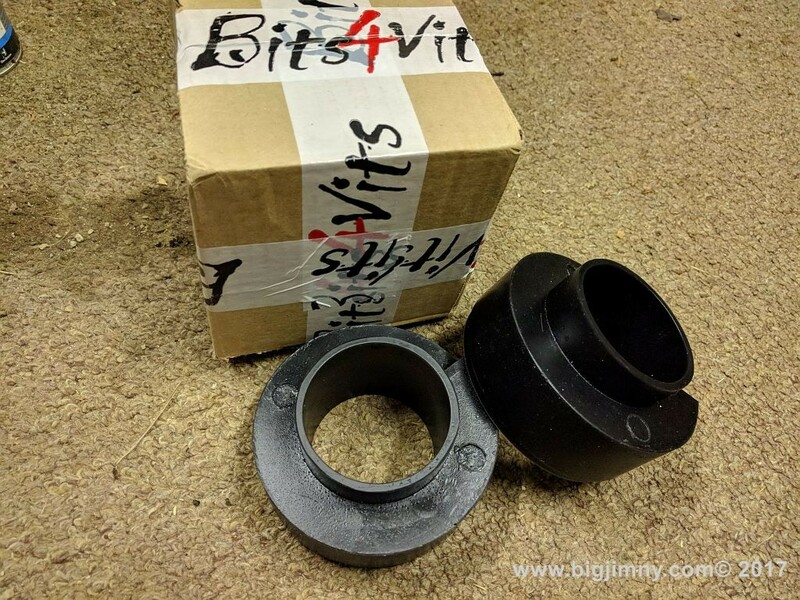 Dave over at Bits4Vits sells sets of spring spacers to either lift the entire car, correct Jimny lean or simply perk up the front. I selected a pair to help out with my weight problem. ​As you can see, I have a lot of weight up front. A KAP bumper modified by Off-road armory to take a large winch. On the right you can see the old (blue) and new (orange) springs. The solution is to put a pair of spring spacers up front. So a welcome package promptly arrived from Dave and I will fit them over the weekend. As you can see, the spacers are shaped to fit the springs and also fit over the bump stop and be held firmly in place, a quality product.